PR agencies Lansons, Forster and Dynamo, and the Nationwide in-house comms team, all came up trumps in PRWeek UK's Best Places to Work Awards 2015. They were named Gold winners in their respective categories at an awards reception at the Westminster office of Ellwood Atfield on Wednesday evening. 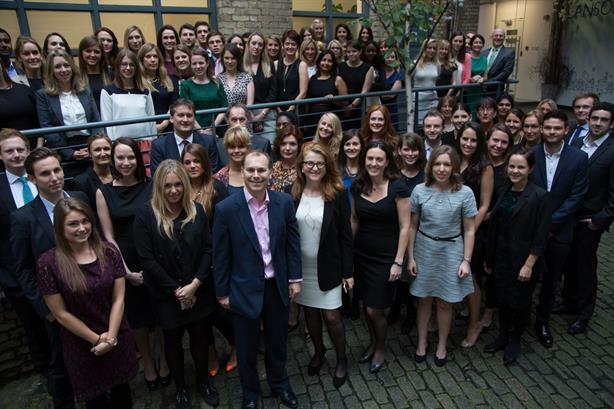 Large agency (100+ employees): Gold – Lansons; Silver – Golin; Bronze - Instinctif. Medium agency (30 to 99 employees): Gold – Forster; Silver – Citypress; Bronze – W.
Small agency (two to 29 employees): Gold – Dynamo; Silver - Man Bites Dog; Bronze - Manifest. In-house (corporate teams): Gold – Nationwide; Silver – SwiftKey. Each finalist faced a panel interview to decide who won the gold, silver and bronze awards for their categories, with judges from PRWeek, the PRCA and the Chartered Institute of Personnel and Development (CIPD). They were judged on a range of areas, including staff training and development, maternity/paternity practices, pay and perks. Click back on Thursday for more information about the finalists and why they won, along with a video of the awards evening.